We are a leading Manufacturer & Supplier of Wardrobe Fittings such as Wardrobe Latch and Wardrobe Oval Pipe Socket from India. 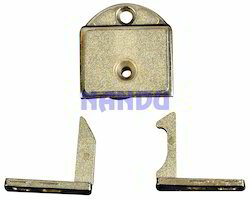 We are engaged in manufacturing and supplying a wide assortment of Wardrobe Latch. Offered product is used to install in doors for locking purpose. This product is fabricated using premium quality raw material and advanced technology. Apart from this, clients can avail this product from us in various shapes and sizes. This product is highly appreciated in the market for features given below. 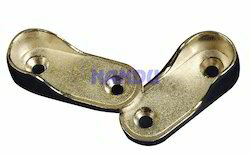 We are recognized as the manufacturer and supplier of superior quality Wardrobe Oval Pipe Socket. For the fabrication of this product, we use the finest quality raw material and sophisticated technology. The offered product is available in various specifications as per the varied needs of clients. Apart from this, we offer this product at most affordable price range to our clients.